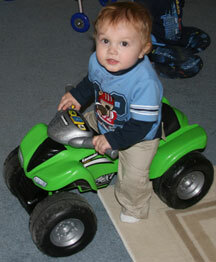 We like to use non-toxic paint for your home or business. As St. Louis House Painters, we believe performance, durability, quality, is essential to every paint product. As artists/parents/caring human beings, we believe environmentally non-toxic child safe paint should be essential to every paint product used by or around people, especially children. A safe baby is a happy baby! and parent! Here are some benefits of nontoxic paint listed below. Health. Reduced toxins benefit everyone, including those with allergies and chemical sensitivities. Environment. Reduces landfill, groundwater and ozone depleting contaminants. Effective. Low-VOC products perform well in terms of coverage, scrubability and hideability (covering flaws on previous coats). Water-Based. Easy water clean up. Little or No Hazardous Fumes. Low odor during application; no odor once cured. No off-gassing. Painted areas can be occupied sooner, with no odor complaints. 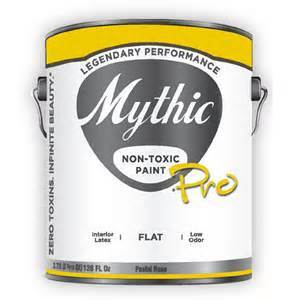 One non-toxic product we like to use is Mythic Paint. According to the EPA, indoor air is considered to be one of the top 5 hazards to human health. Paints and finishes are among the leading causes.Paints and finishes release low level toxic emissions into the air for years after application. The source of these toxins is a variey of VOC’s (Volatile Organic Compounds) which, until recently, were essential to the performance of the paint. VOC’s are the solvents in paint which evaporate easily at room temperature “the smelly odor, bad for people and the environment. VOCs are thought to be contributors to the depletion of the ozone layer, as well as contributors to poor indoor air quality.Chemicals are utilized for a good performing paint and include: petrochemicals, solvents, mercury, formaldehyde, and benzene. Lead, cadmium and chromium can often be found in pigments. Not to mention that distinctive smell of paint is in fact dibutyl and diethyl phthalate – two very volatile compounds!New environmental regulations, and consumer demand, have led to the development of low-VOC and zero-VOC paints and finishes. Most paint manufacturers now produce one or more non-VOC variety of paint. These new paints are durable, cost-effective and less harmful to human and environmental health. Consumers can help speed the development and lower the cost of non-toxic paints by choosing products which contain fewer hazardous ingredients. If the consumer chooses to use non toxic, environmentally safe paints and stains they can also greatly reduce the amount of toxins in the air, water and earth.